You will taste a diversity of Mendoza wines. And to enhance your tasting experience our Chef will create a delicious food pairing for each wine. What is Dish N Dazzle? Below is the list of wineries from Argentina participating in this event. There are some great ones, like Catena, Colome, Graffigna and more. Very exciting wines to try from these wineries. Here are the participating Vancouver restaurants. Do You Want a Discount on Your Ticket? Tickets are $75 but because you are reading my article, use promo code WOA15 for $69 tickets. More information on Dish N Dazzle is on their website. This event sounds like a very good time. An Argentine style BBQ plus wines from Argentinean winery Decero. I have tried Decero’s wines before and have recommended them. BBQ rates highly with me too, so enjoying both together, would be a great way to cap off our wonderful summer, before the October-November rains are upon us. Below is the announcement for this event. Buy your tickets before they sell out! 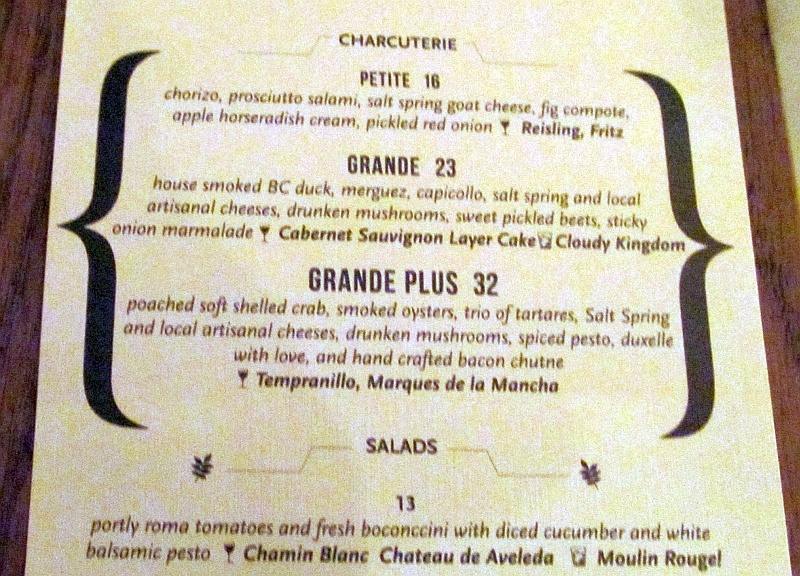 September 9, 2014, (Vancouver, BC) – It’s nearly fall and there’s the scent of an Argentine BBQ in the air at Good Wolf. Richard Goodine, owner of Good Wolf, and Stephanie Morton-Small, Export Director for Decero Wines, are hosting an ‘asado’ or Argentine BBQ brunch. This event will be a fun and casual opportunity to taste Decero’s new Remolino’s Vineyard Syrah, Malbec, Cabernet Sauvignon, Petit Verdot and Amano wines. The all-inclusive brunch menu will include roasted pig-on-a-spit, brunch-style accompaniments and other delicious meats. Brunch starts noon and carries on until 4 pm on Sunday, 21 September. Cost is $30 per person, which includes the meal and paired wines. About Good Wolf kitchen & bar: Good Wolf is a neighbourhood bistro, neither pretentious nor unapproachable. West Coast inspired, rooted in traditional techniques, the menu celebrates the ingredients. Decero is located in the Argentine foothills of the Andes. These vineyards are one-of-a-kind vineyard, where each vine is nurtured by hand, and the winemaking is without compromise. Decero means ‘from scratch’, and the winery is therefore fortunate to be free from constraints of tradition, allowing for an ‘amano’ or ‘by hand’ approach that is human, sustainable and sensitive to natural differences. Decero wines are distributed in BC by Appellation Wine Marketing. 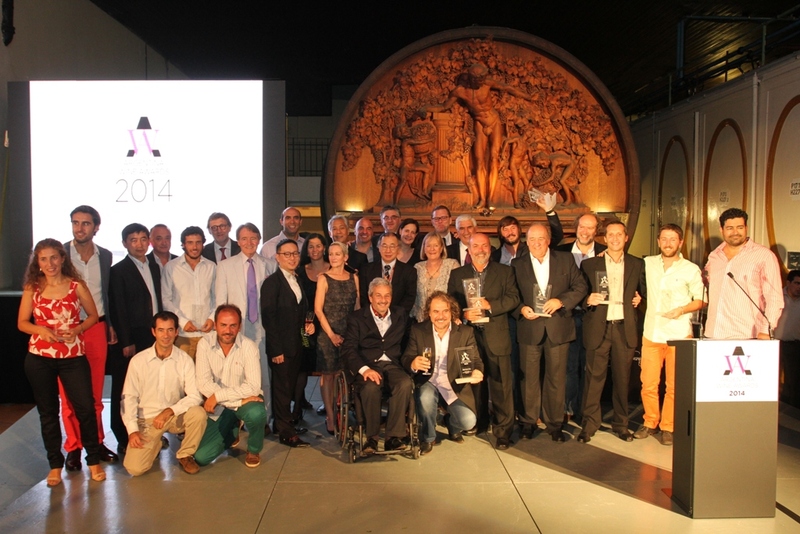 Argentina Wine Awards 2014: Who Were the Winners? Mendoza, February 25, 2014 – On Friday, February 21 at Bodega Escorihuela Gascón the winners of the Argentina Wine Awards 2014 were announced to a large crowd of over 250 wine owners, winemakers, provincial government authorities, wine industry executives, members of the judging panel and journalists. The competition is organized by Wines of Argentina under the coordination of the Argentine Wine Corporation (COVIAR). 12 international and 6 Argentine judges tasted more than 650 samples. Trophies were announced for the 20 categories, which in turn were divided into 5 price ranges each. 150 wineries, with a total of 650 samples, participated in the 8th edition of the Argentina Wine Awards, a competition that seeks to reward both the quality and the advancement of the Argentine wine industry. 4 Regional Trophies, 12 Trophies, 58 gold medals, 256 silver medals and 276 bronze medals were awarded at the competition. On the last day of the AWA, an interesting 2-part seminar was held. During the first part of the seminar, 6 international judges presented to the audience “heavyweight”wines which are successful in other markets not only because of their sales volume but also because of their wineries’ sustainability over time. During the 2nd part, the same 6 international judges spoke about their markets and gave their feedback on the regional Argentine market focusing on the tasted wines. This seminar, held every year in the framework of the AWA, fosters the exchange of views in the world of wine. “The AWA 2014 winners, a sampling of the best of Argentine wine, will be representing Wines of Argentina throughout the year around the world. This 8th edition has been particularly important due to the presence of highly regarded judges, the quality of the participating wines and the feedback given during the seminar,” said Alberto Arizu, President of Wines of Argentina. For the 1st time, there was presentation of a special Trophy for each of Argentina’s main regions – the North, San Juan, Mendoza and Patagonia – with the aim of bestowing an even stronger federal quality on the event and bringing in wineries from all over the country. The 8th edition of the AWA took place in Mendoza from February 16 to 21, 2014. This year, the emphasis was placed on working with experienced, world-renowned wine figures from each market, in order to strengthen Argentina’s positioning in such markets as well as to promote the quality of Argentine wines and the variety of the country’s styles and terroirs through these knowledgeable experts. In this way, Wines of Argentina continues to work for the development of the image of Argentine wine on the global stage. Wines of Argentina is the organization responsible for promoting the brand VINO ARGENTINO around the world. Since 1993, WofA has promoted the image of local wines abroad, in addition to guiding the export strategy of Argentine wineries through careful study and analysis of the changes taking place in consumer markets. Its aim is to contribute to the consolidation of Argentina as one of the main wine exporting countries in the world and to the global success of the Argentine wine industry by enhancing its positive image in the wine trade, among opinion leaders and consumers. 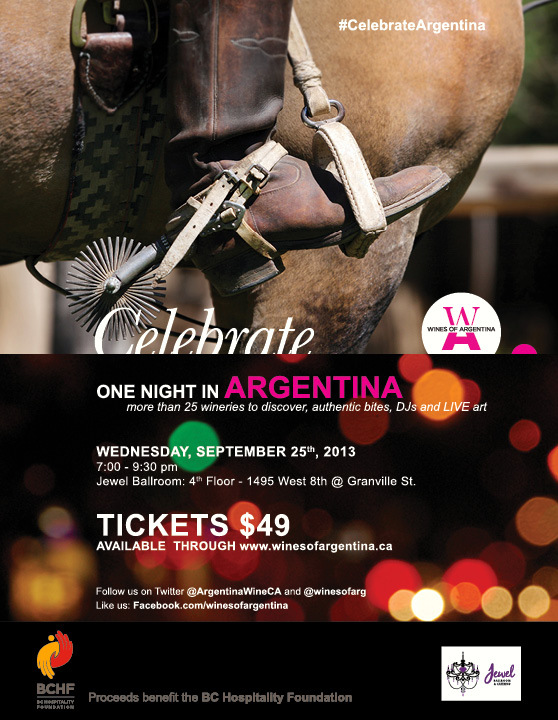 On Wednesday, September 25, 2013 Wines of Argentina will host Celebrate One Night In Argentina. With DJs, a graffiti artist and more than 30 wineries, the evening will be a lively festival of modern Argentine culture. The event will benefit the BC Hospitality Foundation’s Tip Out To Help fundraising efforts. Enter the MyWinePal contest for your chance to win 2 tickets to the fantastic event. Argentina is the fifth largest producer of wine in the world and produces about four times as much wine as Chile. Spanish colonization in 1541 brought over Vitis Vinifera vines and the first record of a vineyard dates back to 1557 in Santiago del Estero. Vines came from different sources, including Italy. The country is known for Malbec, Bonarda, Tempranillo, Barbera, Lambrusco, Cabernet Sauvignon, Pinot Noir, Syrah and others. The most widely planted white varietals are Pedro Xeminez, Moscatel, Torrontes, Chenin Blanc, Semillon, Riesling, Chardonnay and others. The Event: Where, When, and How Much? Contest to Win 2 Tickets! Post a comment below with your favourite wine from Argentina that you have tasted or your favourite grape from Argentina. One pair of tickets will be randomly on September 23, 2013 from all entries, and the winner will be notified on Twitter. The foundation, formed in fall 2006, was inspired by the desire to help long-time wine agent Michael Willingham with the money he needed for both a costly surgery and the rehabilitation time that would follow. This desire to help Michael brought forward a need to establish a trust fund that could be used to help anyone within the food service, beverage, and hospitality industry who required extraordinary support due to illness or accident. Read more here about the BC Hospitality Foundation. Argentinean Malbec has been a hot red wine for a few years already around the world. To celebrate Malbec, some BC liquor stores and wine shops will be offering Malbec tastings. Below is the info I received. Hope you have a chance to enjoy! Red wine lovers, mark your calendars! Free Argentinean Malbec tastings to stock up for celebrating Malbec World Day on April 17, 2013. These free tastings will give consumers an opportunity to ‘stock up’ for Malbec World Day while putting British Columbia on the map of celebrations being held around the world on Wednesday, April 17th, 2013. They are a great opportunity to explore what Argentina has to offer. 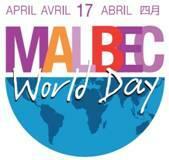 April 17 2013 will mark the third annual Malbec World Day. The day was established by Wines of Argentina to celebrate the country’s flagship varietal as well as raise awareness around the globe of the quality and variety of wines produced by Argentina. This year’s Malbec World Day will include more than 70 events in 45 countries worldwide. Wines of Argentina is responsible for the promotion of the brand VINO ARGENTINO around the world. Since 1993, this organization has been promoting the image of local wines abroad and providing advice on export strategies for Argentina by studying and analyzing trends in consumer markets. Its aim is to contribute to the consolidation of Argentina as one of the main wine exporting countries in the world and to the global success of the Argentine wine industry by enhancing its positive image in the wine trade, among opinion leaders and consumers. 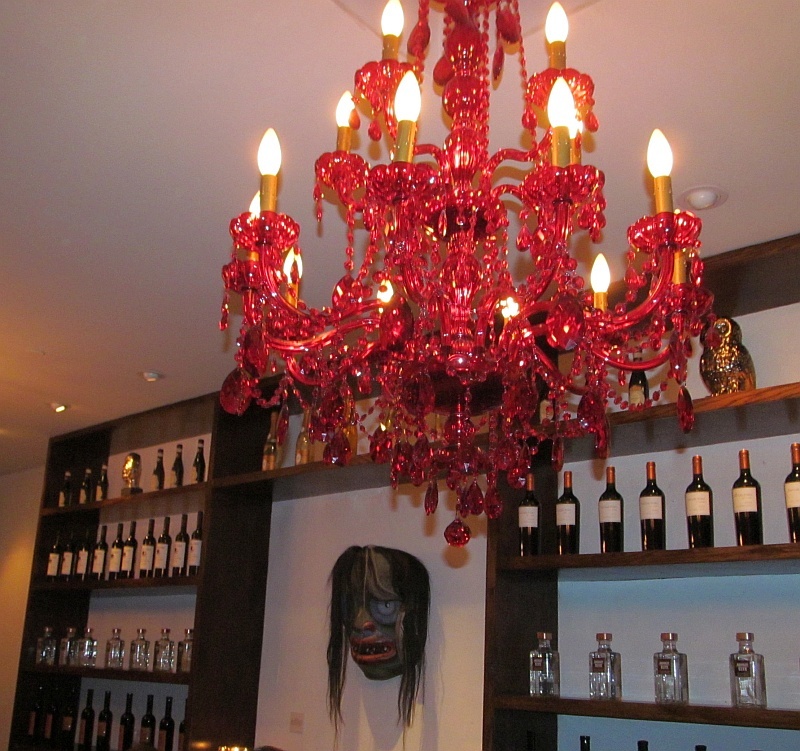 Last week was the opening of TASTE Resto Lounge at 560 Seymour Street, in downtown Vancouver. It is next door to the nightclub, FIVESIXTY, so you may want to have a nibble here before dancing the night away. On this evening we were served mini versions of the share plate menu items. Upon entering TASTE, you are struck by the red glass chandeliers, giving a Gothic or Bordello type atmosphere, depending on who you ask. At the back of the room is a long table, where you can sit with your friends, and make new friends, while you eat and drink, and view the featured artists’ paintings on the walls. I think my favourite item was the chicken liver pate. Lots of flavour, and paired nice with a glass of prosecco. All of the ingredients, I was told, are local and organic by Executive Chef Renaldo Decembrini. The wine list has a range of wines from around the world, but BC wines were missing. It would be nice to add in one white and one red in the list. 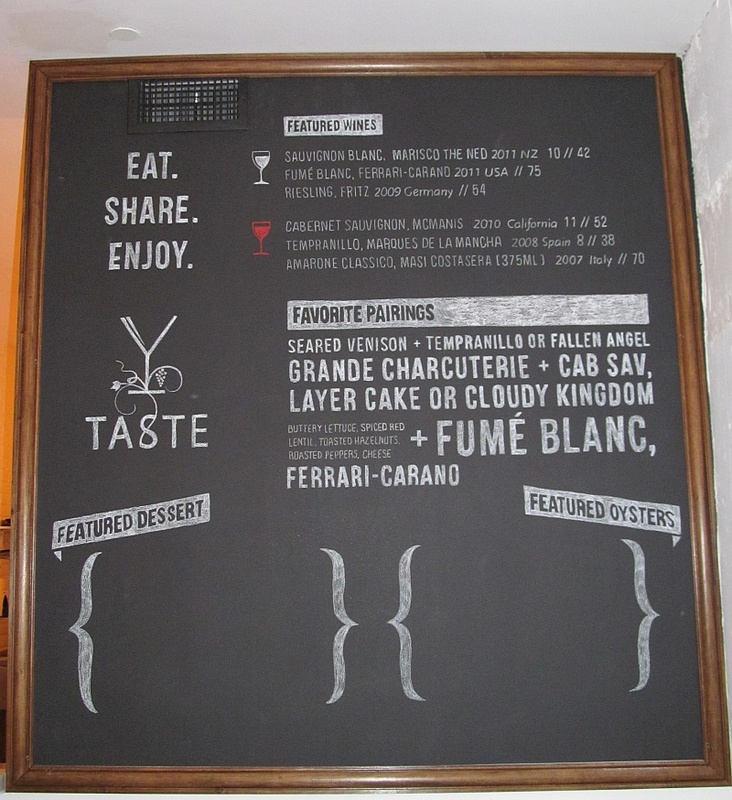 The food and wine list were designed to be complementary and they have some selections with food and wine pairings on a chalk board beside the long table in the back of TASTE. On the white wine side, you can enjoy a glass of Marisco the Ned Sauvignon Blanc from New Zealand, full of herbal character, and have with a salad. The Canti Prosecco as I mentioned to go with the chicken liver pate. 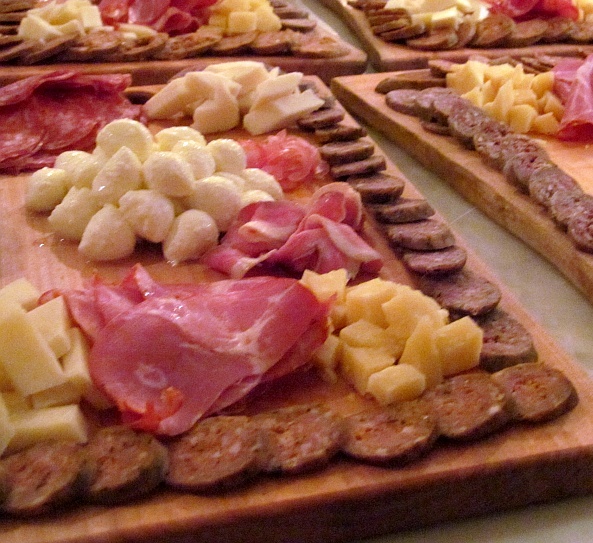 Try the Fritz Riesling or the Ferrari-Carano Fume Blanc with the charcuterie. There are 2 Argentinean Malbecs to choose; Pascual Toso and Dona Paula. I did have a sip of the Marques de la Mancha Tempranillo, very full bodied, lots of dark fruit and very smooth and silky. Definitely would pair nicely with the charcuterie or their house smoked beef tenderloin. In addition, there are some BC/Canadian beers on tap. They also invented some cocktails that are meant to pair with their share plates. I did not have a chance to try these, but maybe on my next visit. I wish TASTE Resto-Lounge the best of luck in their launch. When you hear about a Malbec wine, where do you think it is from? Probably Argentina, but maybe from it’s native home, in France. In either case, you would be wrong. 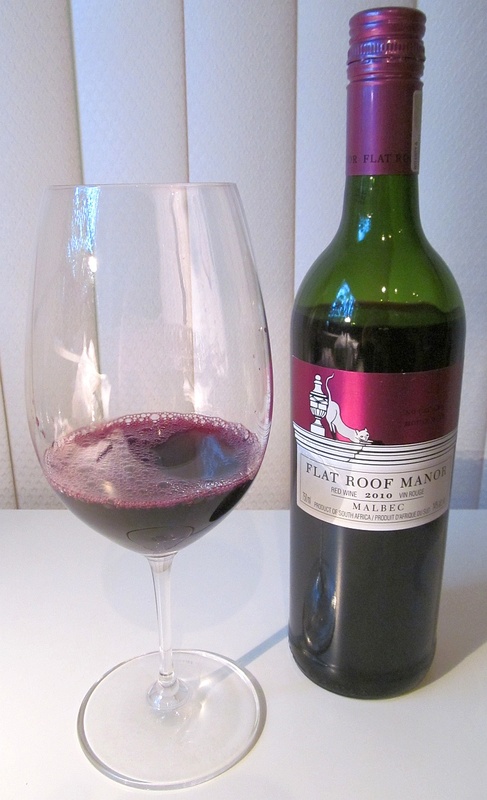 A bottle of Flat Roof Manor Malbec 2010 was sent to me to taste and review. It comes from the Stellenbosch region of South Africa. I checked into the history of Malbec in South Africa and found out that it has been around the region since the 1920s, so it does have a fair history. From my past experience tasting many South African wines through the South World Wine Society, I was expecting an “Old World Style New World Wine“. A wine with it’s feet in both the history of Europe and the youth of the Americas and Southern hemisphere. And I was right. South African wines tend to go very well with food as they have good tannic structure and are not over the top with fruit flavour and aroma. The Flat Roof Manor wines are made by Estelle Lourens on the Uitkyk Wine Estate (pronounced “eat cake” wine estate) in the Stellenbosch region of South Africa. The Georgian Manor House, part of the inspiration for these wines, is set with a view of Table Mountain.l It is also one of just 3 two-storied Neoclassical houses in this style left in the Cape. 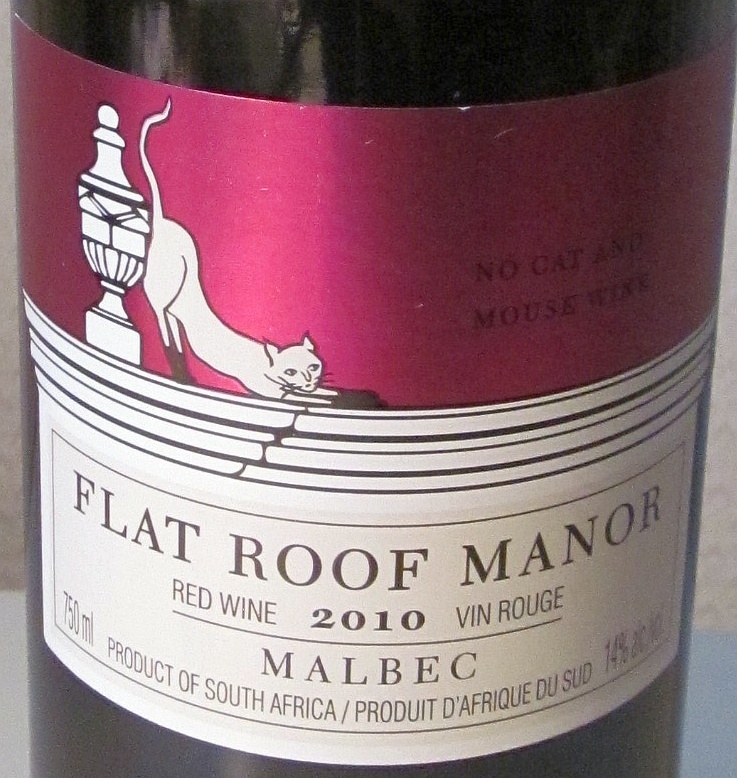 The cat on the label is linked to a legend where a cat remained on the flat topped roof long after the original owners left, to enjoy it’s life for many years. The cat represents a “laid back, unpretentious, confident, and playful” spirit. The first thing I noticed on the label is that this wine has 14% alcohol, so I expected it to be quite hot, but was not. It was perfectly balanced with the fruit and tannins. It was a medium ruby colour in the glass. You could see legs on the glass after a swirl, so you know the alcohol level is there. It has a medium intensity, youthful aroma (and should keep it thanks to being under screwcap). I picked up on black fruit, red cherries, plums, red currant fruits as well as black currant leaf, cloves and some smokiness. Quite a range of aromas. It is dry on the palate with medium plus tannins and medium body. 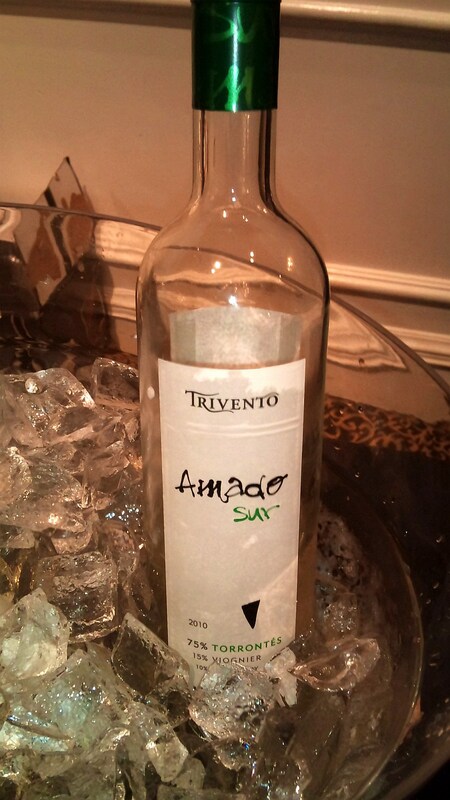 As mentioned the alcohol level meshed very well with the wine, so you did not feel any hotness in your mouth from it. It also had a range of flavours, including red and black fruit, plum, cassis, black currant leaf and a light amount of oak. Medium plus length, with white pepper, vanilla and sour cherry on the finish. A pretty decent wine, with some tannic structure to give it body, and a variety of fruit aromas and flavours to make it enjoyable on the palate. This wine is available in BC, Alberta, Newfoundland, and Nova Scotia for between $12.99-$13.99. A great price for an over achieving wine. Enjoy! 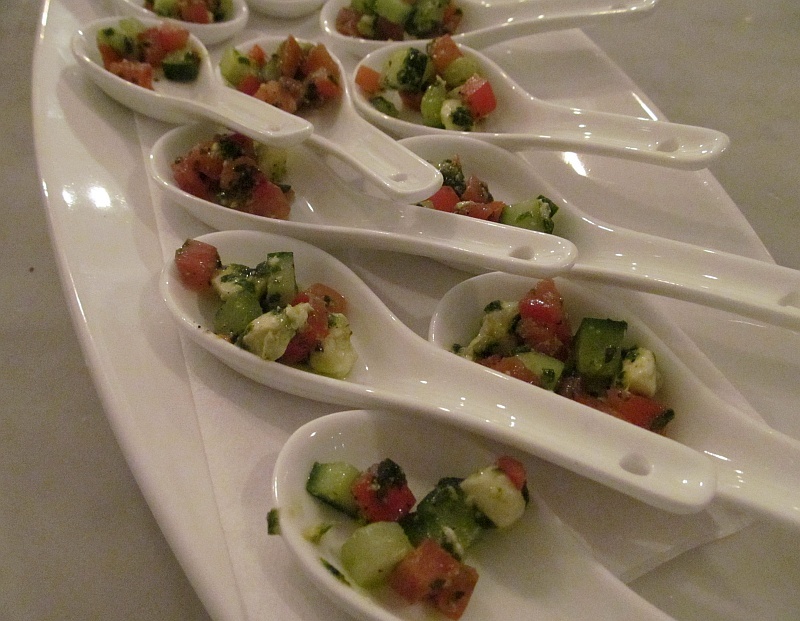 This past week I had the fortune to attend the Taste Testers Club at Rockford Grill on Broadway at Burrard. The Taste Testers Club is a night of complimentary food and drink sampling between 5pm-7pm, on Thursdays. If you order anything you sampled, you get your name put in for a draw for a $75 gift certificate. A great deal IMHO. If you have never heard of Rockford Grill before, it is a bit like Earls, but it has an Asian twist to many dishes. This evening though was for me, and my cadre of @diannechow, @BCbrews, and @websturr an evening to also try Rockford Grill’s new gardein menu, compliments of Rockford Grill. Do you remember Yves Veggie Cuisine? Well Gardein is founded by Yves Potvin. Gardein (garden + protein) is a line of delicious plant-based foods slow cooked to have the authentic taste and texture of premium lean meat. It is made from soy, wheat and pea proteins, vegetables and ancient grains (quinoa, amaranth, millet and kamut). You can get Gardein “meat”balls, chicken patties, riblets, turkey filets and much more. 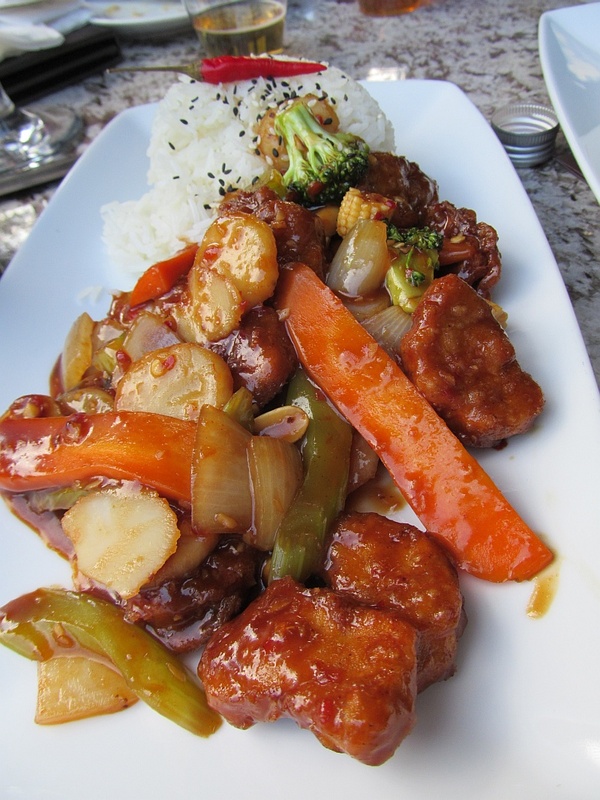 We tried the gardein Kung Pao chicken and the Mongolian beef noodles. If you did not know how gardein is made, you probably guess that you are eating chicken and beef. The consistency is fairly close to actual meat, but maybe a little softer. The Kung Pao chicken spice level is set to be easily eaten by most people. If you are a chile pepper fanatic it is not going to push your limits. The gardein chicken tasted like tender white chicken meat to me. I enjoyed having the crunchy water chestnuts to add some additional texture to the dish. I enjoyed the Mongolian beef noodles more. The “beef” was cut into thin strips and was more chewy like you would expect from strips of beef. There was a lot of black bean hoisin sauce to make the noodles moist. To these 2 dishes we were drinking a bottle of LoTengo Malbec from Argentina. This malbec was very flowery and full of juicy red fruit. Silky with no tannins. An overall easy sipper, but not one to challenge your tastebuds. It worked well with both gardein dishes, without overpowering either one. We did have a chance to stray from the gardein menu as it was Taste Testers Club that evening. 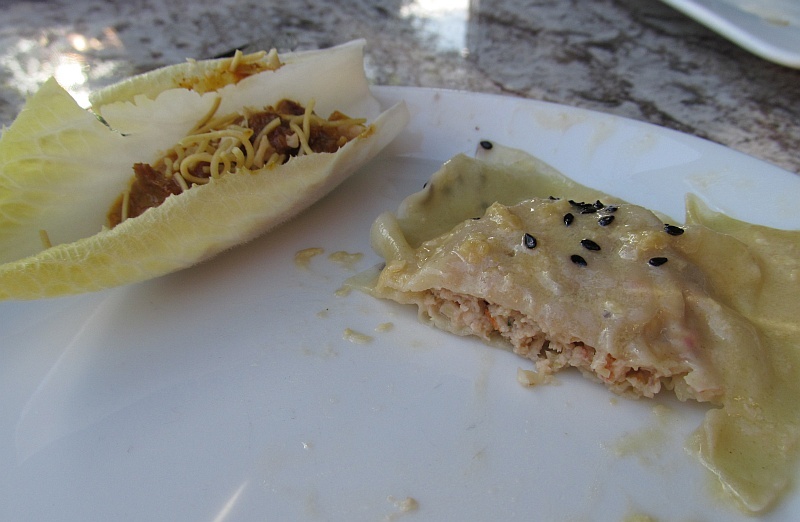 One taster dish we tried was the ginger prawn ravioli with cream sauce, and another was a curried beef (gardein?) with crunchy noodles nestled onto an endive leaf. I really liked the prawn ravioli. The ginger made the prawns sing, and the cream sauce was very light; not overpowering. If you like bacon, you may want to try their blackened prawn tacos (3) shredded slaw, salsa fresca, chocolate bacon $12.95. Chocolate coated bacon bits were sprinkled on top of the tacos giving an extra slightly smoky chocolate flavour to this taco. We all definitely liked this dish. As part of the Taste Testers Club this evening, Big Rock Brewery (from Calgary) was offering two beer samples; a Double Happiness lager, and a Rye & Ginger beer. The Double Happiness beer is brewed specifically for Rockford Grill. You cannot get it anywhere else. It is a typical light lager for me. The Rye & Ginger beer is a bit more interesting to my palate. It is made yes, with Rye and Ginger (which by the way is a popular mixed drink on the Prairies). You get a bit of sweetness from the Rye and spice from the ginger. Low hops, an easy sipping beer. It went really well with the prawn ravioli. I am a push over for desserts with apples. 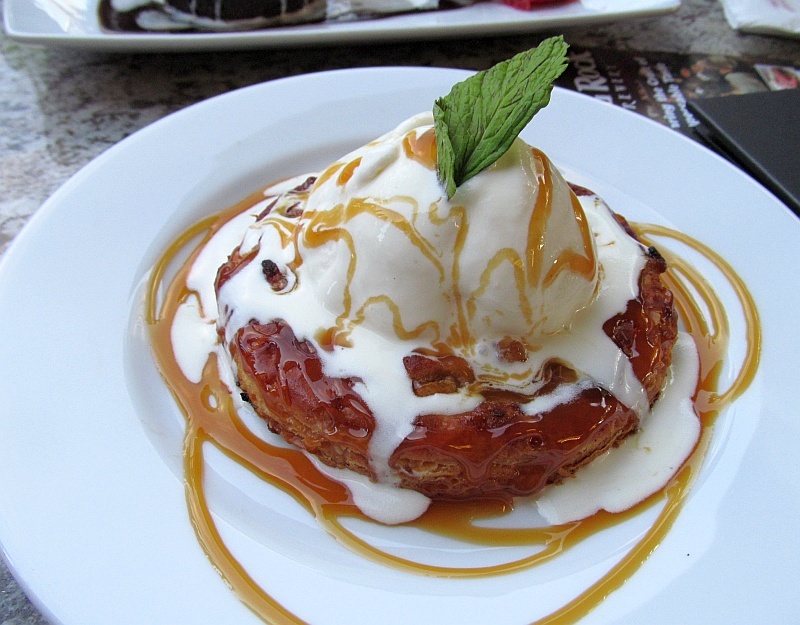 I really enjoyed the galette with the many layers of thin pastry dough, and topped with the vanilla gelato. Not overly sweet. A treat to share with others. The sticky chocolate date pudding was a bit heavier dessert. The baked pudding was very bready in texture and needed the chocolate butterscotch sauce and vanilla bean gelato to make it moist in your mouth. Have it with a cup of coffee to end your meal. If you are a vegetarian or not, there is something for everyone I think at Rockford Grill. Go there for a casual lunch or evening with friends. Dish n’ Dazzle 2012 will be presented by Wines of Argentina on May 16th at the Fairmont Waterfront Hotel. This year’s $75 price represents outstanding value. Guests will be a be able to taste selections from over 80 wines. Enjoy food from 12 Vancouver restaurants. Food parings this year include Argentinian chorizo with Chapa bread, Charred Chimi Chrurri Hanger Steak, Empandas, Prawn tacos and more. The cocktail “shakedown” competition will offer attendees an opportunity to watch 6 top bartenders in action creating Argentinian inspired cocktails and the chance to taste each one! A raffle featuring a grand prize from Fairmont Hotels and Resorts will be accompanied by a fabulous silent auction. You can buy your tickets here. I have written about many of these wineries in the past. Lots of top quality wine to enjoy. Please review my past posts by entering Argentina, Malbec, or Mendoza in the Search box.